Zeret Kitchen is not in the most glamourous and picturesque part of London but the food is more than worth travelling to Camberwell for. 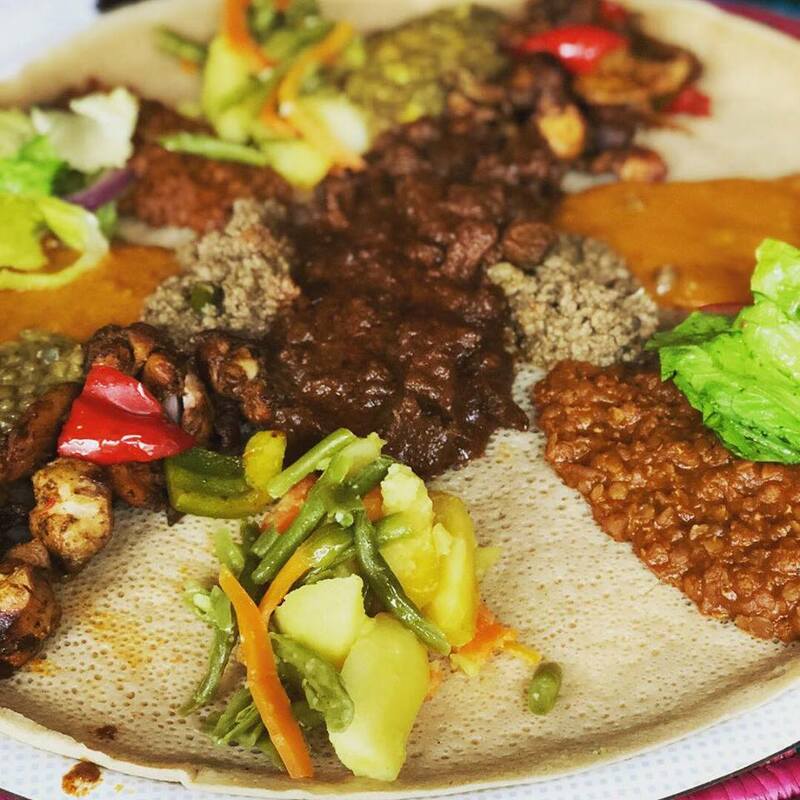 Ethiopian food might not be on the top of everyone’s list of foods to eat, heck, its probably not even on a list at all. But believe me it’s bloody good. Zeret lies all alone in a promenade with a huge high rise standing tall right next door. It could prove difficult to find and you would be forgiven to think you’re actually walking in the wrong direction, but the sweet smell of the spices coming from the restaurant nearby gives a strong indication that you’re heading the right way. 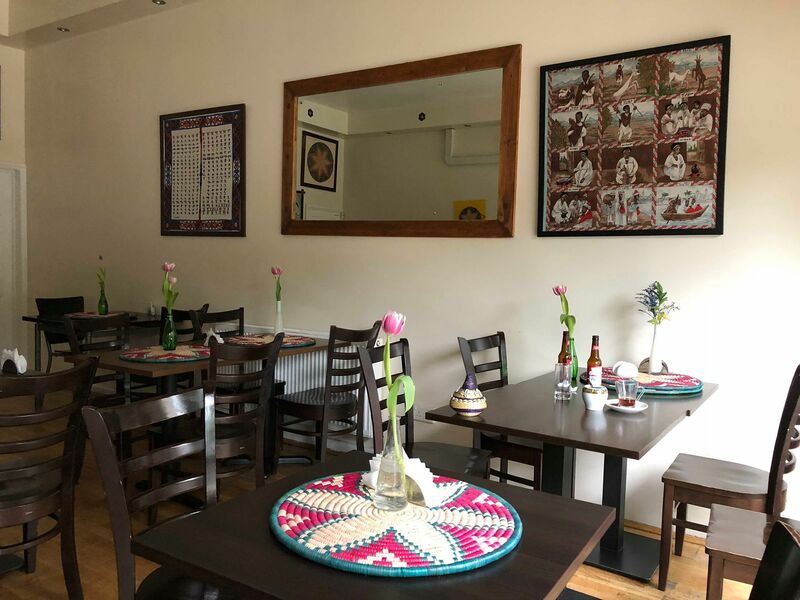 The aromas will entice anyone to get stuck in and try authentic Ethiopian food and I strongly believe that this is a hidden gem tucked away in South London. 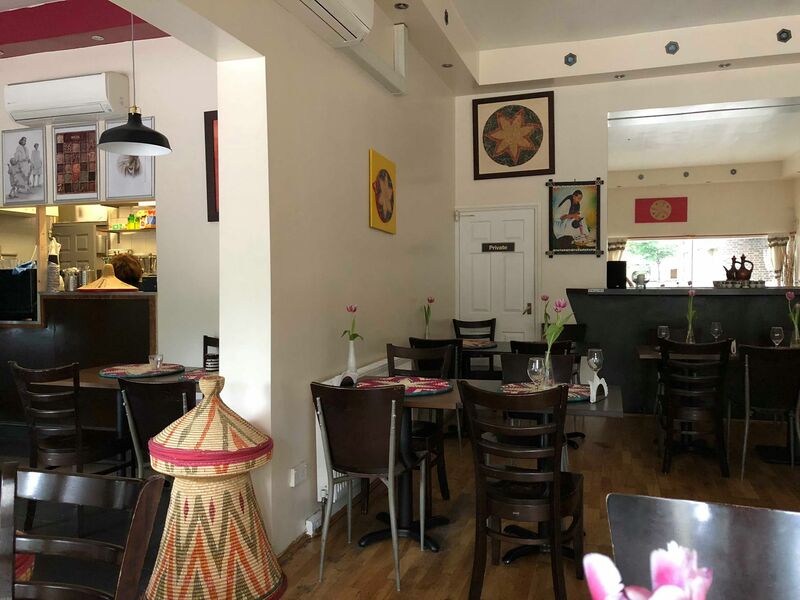 Now it might not look like much, however, Zeret’s warm, charming interior and bubbly and super friendly staff make this a rather comfortable dining experience. When arriving early it might be completely dead but don’t let that fool you because when the evening starts to settle, hordes of customers start rolling in wanting a piece of this delicious East African delight. Zeret’s dishes on the menu may look very confusing to the eye and you could even start looking a tad silly but there are two affectionate ladies on hand to recommend dishes that are suited to your palette whether that’s wanting a lot of meat on your plate or wanting a more heavy vegan based plate. It’s all about the Zeret surprise but don’t be alarmed, there’s nothing that’s going to be of a culture shock. This my friends is an excellent and I mean excellent sharing plate. It says its for two people but in my opinion it could easily feed up to four. I know for a fact you’re still confused but it really is simple and delicious stuff. 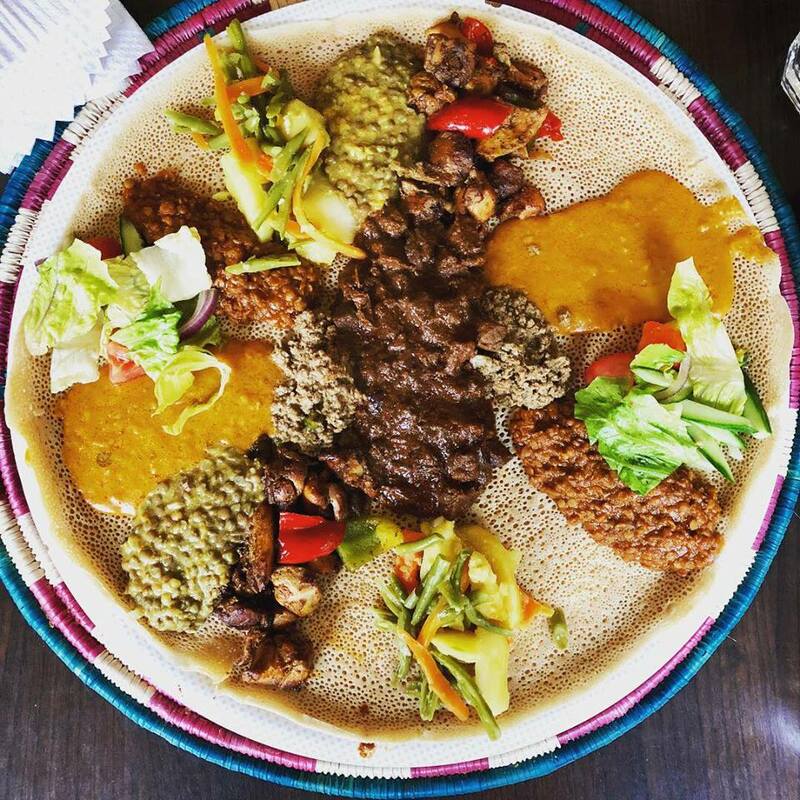 Basically the base is the injera – a popular Ethiopian flatbread almost similar to sourdough in its taste but far more spongier and stretchy. This banging flatbread is an important part of the meal because with no knife, fork or spoon in sight, it is the only way to eat and mop up every little bit of the main on top of it. It is also a great base for soaking up all of the creamy and savoury sauces and spices from the meat and lentils. Not only that the staff offer more injera rolled up in a neat little basket. The toppings are a variety of slow cooked tender pieces of beef, chargrilled chicken, a creamy chickpea sauce, spiced mince, mushy and soft lentils and a fresh slightly pickled salad. Bring all of those components together, along with torn pieces of injera and your taste buds will be having one big African party. It’s wholesome, it’s authentically made from the heart but above all it’s damn right mega. I have a soft spot for Zeret and an even bigger appetite to try more African cuisine which doesn’t include the standard and generic tagine. 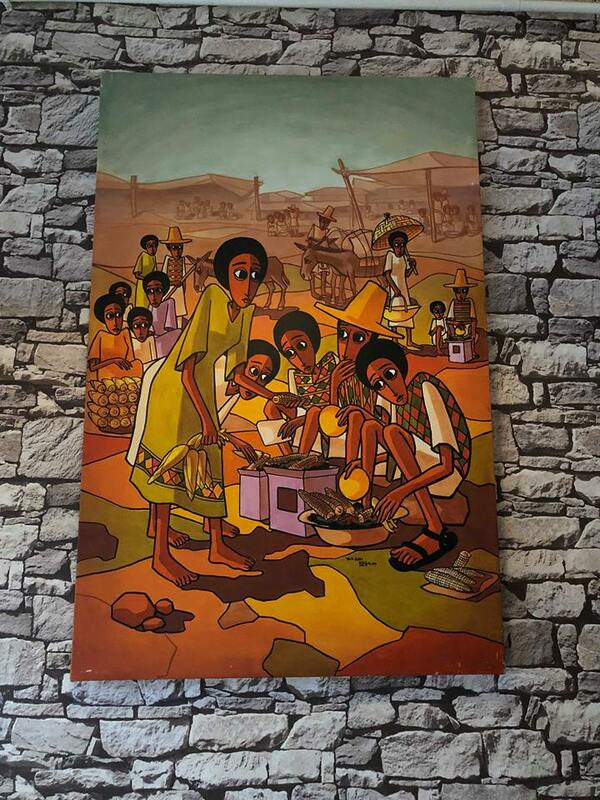 Obviously they’re awesome in their own right but Zeret has got me wanting to try more African food that’s not widely available here in the captial. A trip to Camberwell is definitely lined up and that’s something I thought I would never say.